Q. 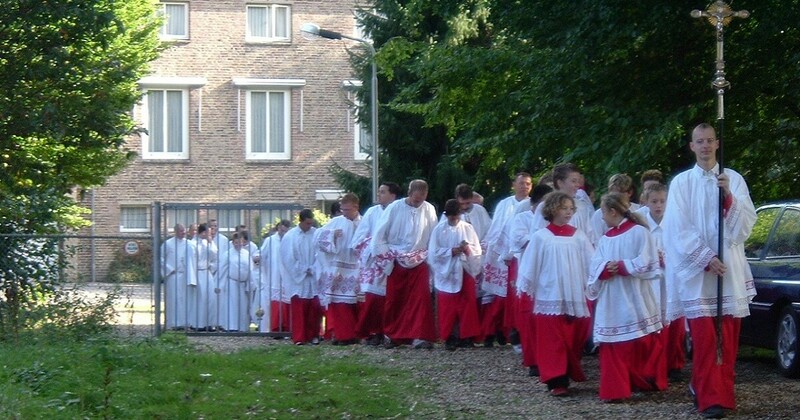 Why does the priest need altar servers? A. Simply put, altar servers make the practical aspects of the Liturgy flow more smoothly. At least most of the time when they are well trained. An altar server holds the book for the priest when praying from the chair. They hold candles next to the Gospel as it is being proclaimed. They assist with incense, assist with the preparation of the altar and perform other helpful functions. Additionally, on a personal level, serving the holy Mass is a great honor and helps young people, especially, to learn the Mass well so that they can better join in the offering. Being present in the sanctuary, dressing in server cassocks or albs, and being attentive to the flow of the liturgy should hopefully have the effect of helping servers to grow in a deeper love and reverence for the Mass. Also, at times and in cultures where boys act as altar servers, this helps plant the seed of a vocation in the minds and hearts of those whom God is calling to serve as priests. With that said, symbolically the servers also represent the entire people of God, especially in the procession. At Mass, we should all see ourselves on a spiritual journey toward Heaven. The sanctuary is the symbol of Heaven and the procession symbolizes the entire people of God journeying toward Heaven with the Cross leading the way. If you know an altar server, make sure to thank them for their service and encourage them in their important role.